Expanding business beyond the brochure printing. Aiming to be a one stop print service shop. Offering product promotional items printed by UV-inkjet printer 'JFX-1631'. 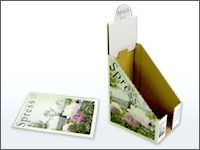 Total business offers including brochure printing and promotional ideas can be provided to clients. 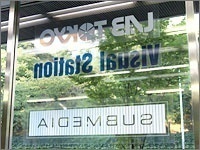 The company needs to print the image on aluminum, stainless, film and other materials to offer differentiated products. Customers are amazed at vibrant color and high color reproducibility of sublimation printing. High-speed and compact solvent inkjet printer is urgently needed for quick deliveries. High-speed and beautiful print results are crucial. JV5 meets both of needs. Make larger and visually appealing signage to meet market needs. High-speed and quality printer, Mimaki JV5-320, supports the company to meet a range of market needs. 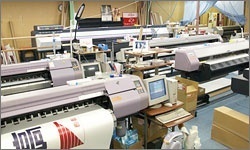 Photo printing and larger signage are required at a current signage market. The first user of grand format JV5 printer. The wide printing width is the big appealing point for clients. 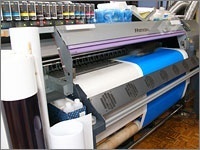 Reducing the outsourcing cost for vehicle wrap film printing. The cost is reduced by a printer. White ink allows to exhibit new design presentations. Change the main printing method from analogue to digital. Mimaki printer meets the required print quality. 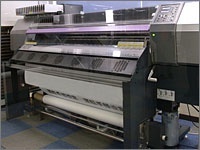 White ink printing on PET film appeals to clients.